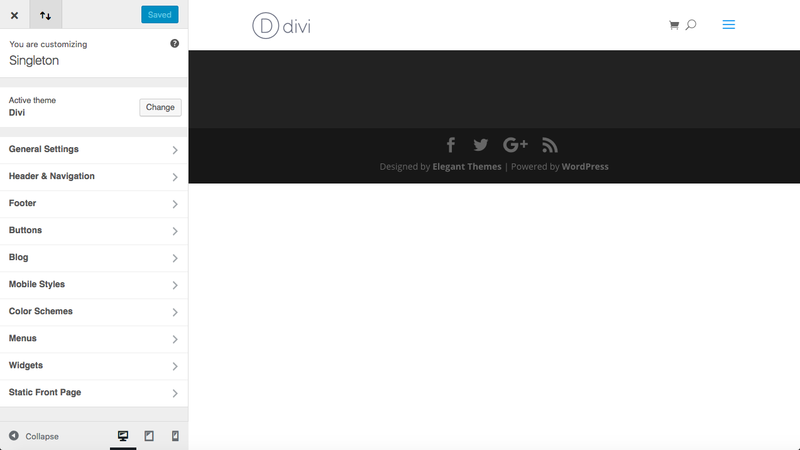 Divi 3.0 Theme Review – Why is it the most powerful for building websites? 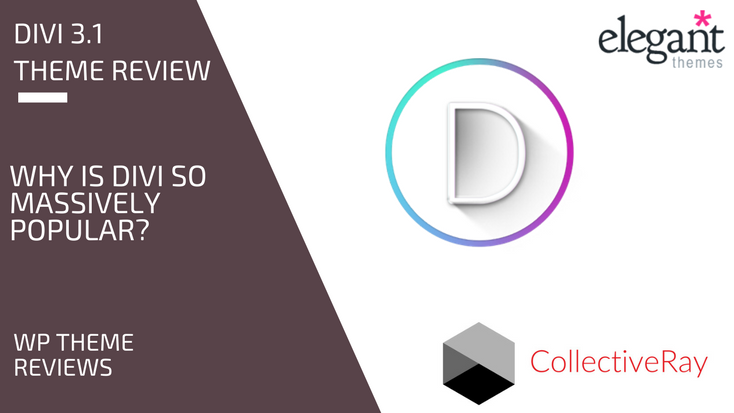 So you’re here to read our Divi theme review and learn all about this product from Elegant Themes right? You’ve probably already heard about this theme somewhere but are still not sure whether this is the right choice for you? Maybe you don’t know whether it’s too complicated for you if you’re not technical in web design and WordPress? Or maybe you think it’s going to restrict you in some way? Fret not anymore! We’re here to help. We’re frequent users of this super-theme from Elegant Themes and we can tell you ALL about it – in a true, honest and unbiased fashion. We can tell you all about its great things, what things work brilliantly well, what could work better, what you could use it for and where and who should avoid using it. In this way, you can make up your own mind on whether this is the right tool for you, your website and ultimately your business. Here’s our full Divi theme review, an excellent combination of a premium WordPress theme and Visual Page Builder. PS. The above 10% offer is only available through the above link. If you want to get a quick overview of what this plugin is all about, this video says it all. 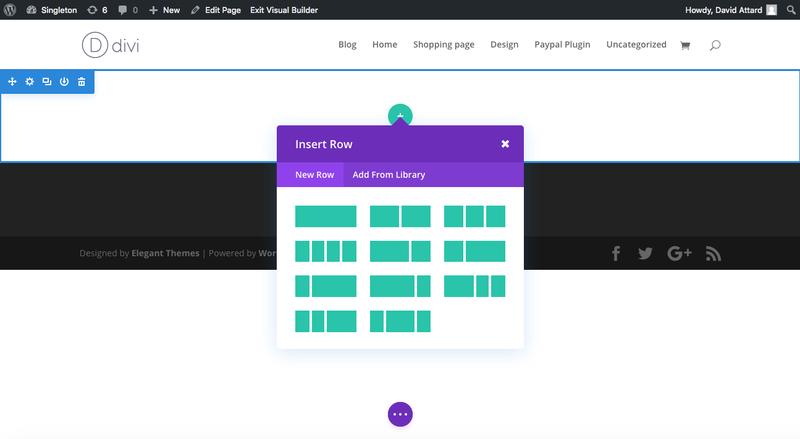 “If you had to describe this plugin in one simple word: Magic.” This video offers a tiny glimpse at the new Divi Builder plugin. If you are into web design at all, you should definitely consider it for your WordPress website. By now you probably know that the template/pagebuilder been out for a while, in fact, this is actually a Divi 3.0 review – that means that there have been many iterations before it. This also explains the fact why this product is so refined and it might as well be the best WordPress product yet. But let’s discuss now a little bit the features we expect to see in this new iteration. A new visual experience. 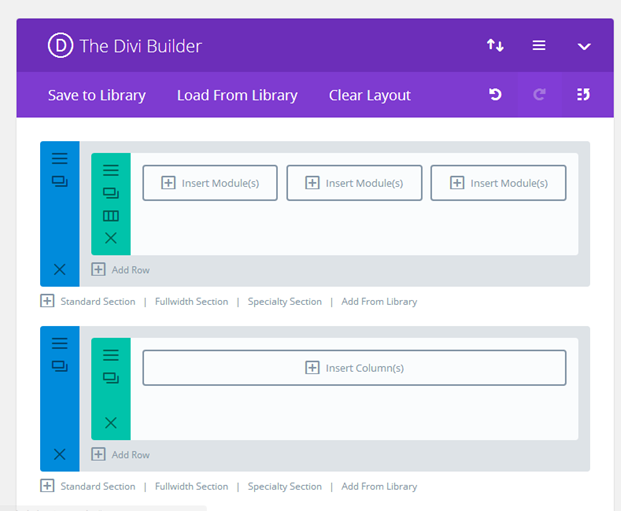 Elegant Themes have been hard at work creating a new version of the Divi Builder plugin. Essentially, rather than having a backend version and a live version, the two will actually blend into one and the same thing. The live back-end editor will actually be showing the live version too. This means that you’ll be designing a completely What You See is What You Get page. No need to switch back and forth between the live version and the backend version. With version 3.0, these are interchangeable. Drag & drop + responsive. Of course, the next big thing is that rather than editing a visual representation, you’ll be working on the actual live blocks. You’ll be dragging the actual pieces of content. And of course, everything is still fully responsive. No refresh – instant visual updates. 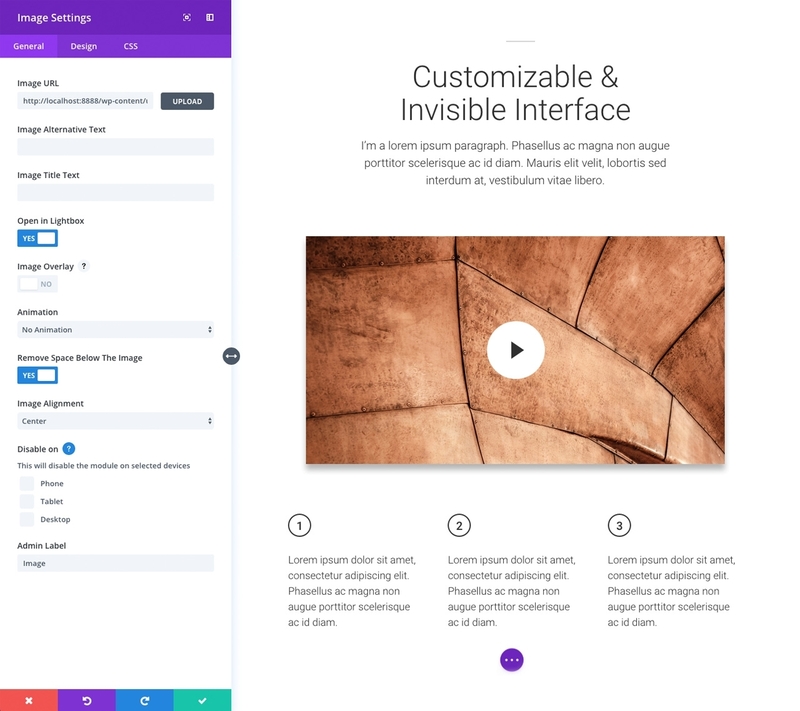 The new v3 Divi Builder is actually powered by React, and a new paradigm in real-time visual experiences, which ensures that anything you do is updated on the fly. You don’t have to perform any page refreshes. We are sure these are the two most important factors that sort of contribute majorly towards deciding on items that you choose for building a website. The better the theme, the wider is your scope to represent your content lavishly throughout the website. This product is sleek, elegant, simple, clean and most importantly, a multi-purpose theme. So no matter what business the website represents, be sure of proper justice being done to every element. It comes with an inbuilt page-builder that is super awesome and is super-easy to use, has a complete arsenal of ready-to-use Divi layouts, and is code-ready, even to be used professionally by novices. Whether you want to edit a WordPress landing page you have created in the backend or (for the less tech-savvy users of your website) in the frontend, you can make use of the latest and greatest version of this great product from Elegant Themes. For example, we do believe it’s a great option if you plan to create a membership site – have a look here at the themes and plugins you could use. Its device responsiveness and WooCommerce readiness are the sweetest features that knocked us right off. Dig deeper, and you might discover a few more that would knock your socks off! 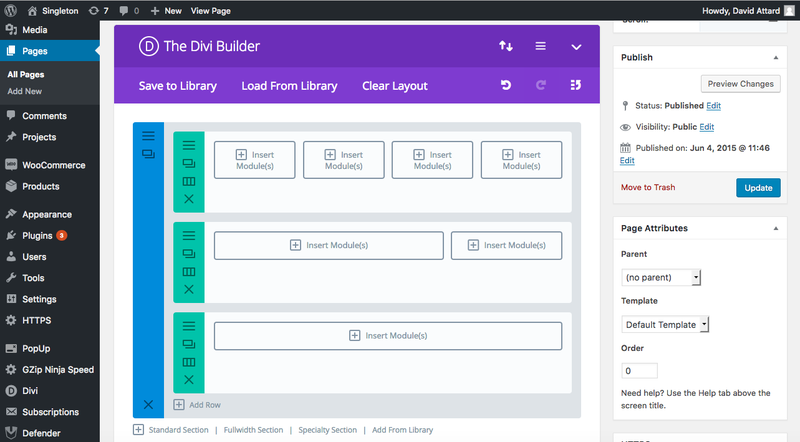 Better yet, v 3.0 brings with itself, the Divi builder that we already mentioned earlier. This is one of the best theme-based WordPress page builders, we have come across so far. So good, it deserves some juicy, elaborate description, reserved all for itself. We have done that part too, in a later section of the review. 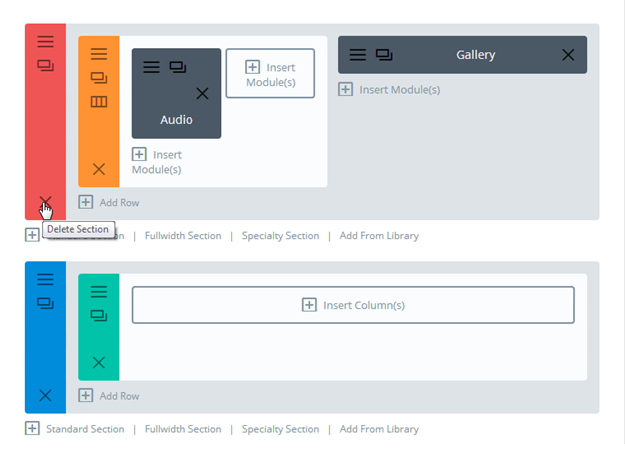 Version 3.0 offers you a simple theme customizer panel with innumerable customization possibilities. Every element on your WordPress page or post can be taken good care of, and tailored in a conversion-centric manner by using making optimum used of the customizable features. General settings helps you make tweaks to your main WP page elements like layout, background, and typography. This Elegant Themes theme customizer also offers you detailed styling customization options. Best part, you can customize the responsive look of your page. Make it look perfect just for any device! The v 3.0 Divi builder plugin – build your website in no time! 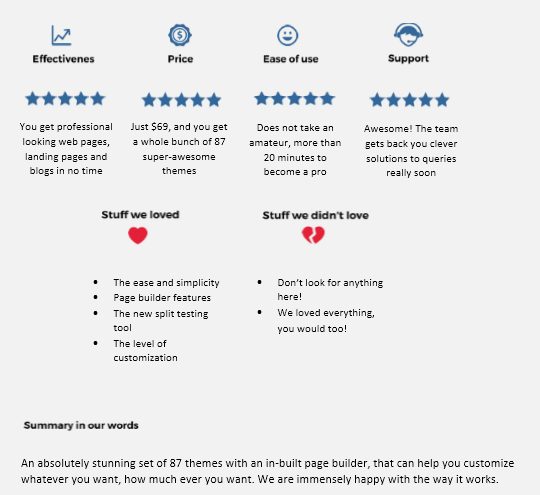 We continue our review with eulogizing about how simply the WordPress page builder has been crafted. Even if you just installed it all just a few minutes ago, this pagebuilder is dead easy. When you are going numb due to the huge number of layout and theme options but still opt to customize one of the WordPress themes and plugins your very own way, it would not take you more than 15 minutes to understand how the pagebuilder works. Its drag and drop mechanism makes everything flow like breeze. You can add sections and modules, remove them, replace them, clone them, drag them to where you want them to be, do just about any possible thing, you could hardly do with any other product. And all that, without the littlest coding endeavor. 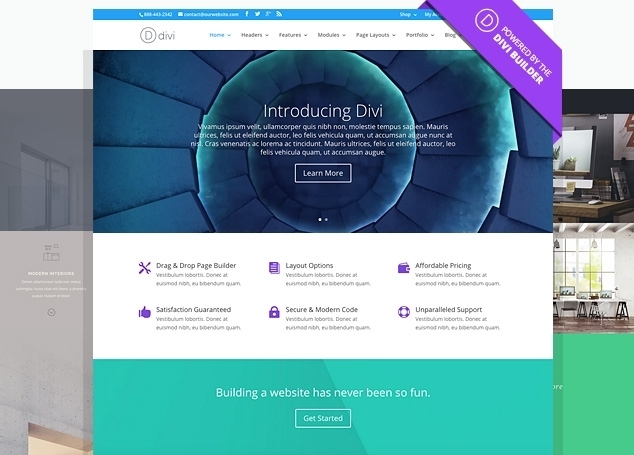 The Divi 3 Builder also offers its users a stunning range of customized page layouts. There are over 140+ pre-defined layout options for you to choose from. One click and you are done! Switching from one layout to another, in case you just happened to think differently the next moment, is fairly easy. Just in case, you are picky enough not to still feel happy with all those pre-made page layouts, you can create one of your own and save it up for using it in the future. That way, keep adding layouts, and you could avoid a lot of repeated efforts for your future websites and pages. Yet another surprise pops up, when you go to add columns. There is an option to add special columns!!! Yay! Bingo! So that way, you do not have to choose from the same boring 2-grid or 3-grid column structures! What’s the coolest part about it? When you do add a specialty column, it gets all colourful! Another example of superior user experience conceptualization! Best part, you would get an access to a whole gamut of 46 different content modules. Oh! Did we forget the ‘Split test’ feature? Any novice designer would know that benefits of split testing… The pagebuilder has obliged us by not forgetting the magic that split testing can bring about in deciding the success of any website in its newest version. So there is this module that you just slipped in a particular section. Maybe, you just wanted to see how another content module would perform, if you replaced the former one with this one. The ‘Split test feature comes handy here. Right click and enable the ‘Split test’ tool. While you have your nose dug into the remaining of your webpage, the split test would keep running in the background and you will have your results in the stats section in no time. 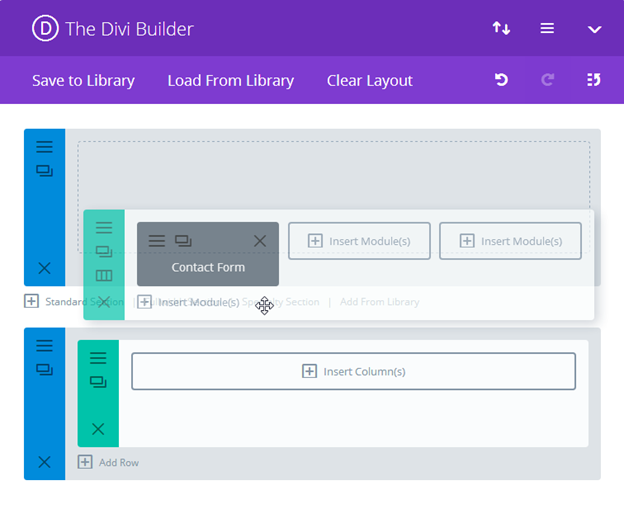 One of the greatest improvements between version 2 and 3 is that the Divi builder (or actually the user who is writing the pages) does not need to work in the backend. The beauty of a PageBuilder is its ability to construct pages on the fly no? Quickly dragging and dropping components to construct a page in no time at all. Yet, if you are in the backend of WordPress, the result is not going to be immediately visible to you. You’ll have to update the page, reload the page you are building from the frontend. More crucially though, is that in the backend you are guessing at what you are building. You can’t really see the end result. That’s no longer the case with v 3. This is the beauty of Live Preview. We want to continue our v 3.0 review with the thing we feel is most special. When you choose to work with the Divi builder plugin in the frontend, you can see your page or blog post being built right in front of you. You can see the result there and then – this is the Live Preview functionality. This is the real beauty and the real difference with the new version of the Divi builder from Elegant Themes. This by itself makes v 3 the solution to go for. Most of the users working with your website are not going to be fans of the backend. Even if you are familiar with WordPress, it’s of course so much the better, if you can see exactly what you are building in real-time. Here we are adjusting the Go to shop CTA button which we added in our Two Column (2/3 | 1/3) row. Beneath the CTA button, we’re also going to add a new module, Email opt-in. And as you can see below, you can immediately see the result. We can keep on going about this because it SO AWESOME. However, why not go and give it a spin yourself in the 3.0 demo below? Your linguistic preference should not bar you from using the amazing stuff that this product brings you. The creators understood this quite well, and hence, they have made v 3, completely translatable into 32 different languages! Don’t let your potential stay confined to just one part of the globe because of language restrictions anymore! Though WordPress is secure enough not to have website hacking nightmares every single night, we agree that there have been more than just a few vulnerable to cyber insecurities in the past few years. We are sure you have heard of it too! Well, not with this template! Its ultra-secure code takes care of your security concerns like no other product. We don’t, a code audit by Sucuri says so. 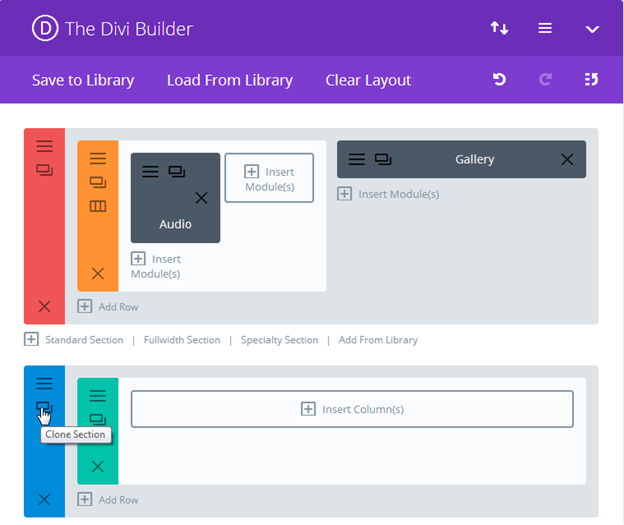 Despite the simplicity that the Divi builder brings, if you ever find any hiccup on your way, a detailed documentation is there to help you out. Crafted, keeping in mind, every situational possibility, the support documentation is sure to make it an easy ride for you. The newest version, along with a plump undo icon right there at the top of all functionality boxes, users can simply go for a ctrl+Z or command+Z (for mac lovers). They have made it real easy. 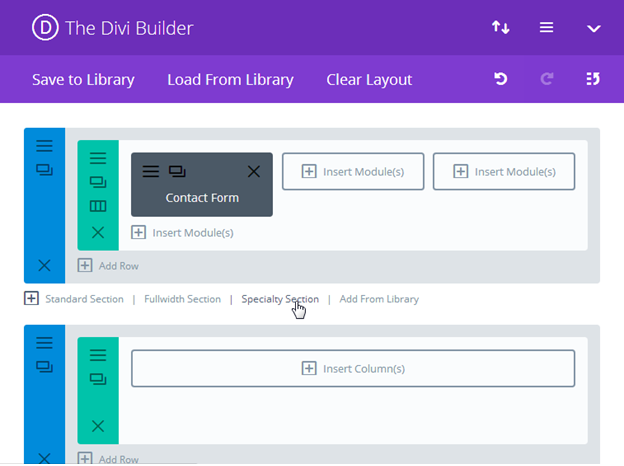 Honestly, nothing more pretty and easy as the new Divi builder. And with each new version arriving, it is just getting better! Of course, there are other equally well-functioning standalone page builders for websites to be created in WordPress! Try Pagelines if you want to get the feel of creating sophisticated WordPress sites, irrespective of what your website is based on. We reckon, read the review. Who Should Use This WordPress Theme / PageBuilder? An aspiring web developer, a non-techie who wants to set up a website, or a really lazy coder who would do just about anything to shirk elaborate coding. And that is because v 3.0 comes with an inbuilt page builder that is super-easy to use. It basically uses a drag and drop mechanism, which makes it easy for even first time users to come up with beautiful web pages in a matter of minutes! A point here though, we do not really recommend it for use by a professional web developer. This product is mainly aimed at helping less tech-enabled people get professional results without some really serious investment into code crunching. As part of this Divi WordPress theme review, we like to back our claims with a lot of substance that might just be helpful to you. Here are few real-world examples of businesses, that are up and running. Notice the clarity and the professional touch that these websites have. It is difficult to make out that they did not utilize the skills of a trained designer and developer. That’s the power of this webpage builder. 87 WordPress themes squeezed into a package at $89! Our next part in our review, is something you’ll also need to consider – the price. The great thing is there isn’t much to think about with Elegant Themes. Well, let’s clear the air a bit here. The v 3 theme is sort of a super set with 87 really cool sub set themes. So when you are paying $89, which is anyway not a really huge deal for a product that comes with its own customizing page builder, you actually end up getting access to 87 different themes plugins to choose from. But wait! – do have a look below, because ET are currently running a 10% OFF offer – combine this with the Lifetime access and you’ve got yourself a fantastic deal! Have a look at the following testimonial by Colorlib, the influential web design site. In this article, we tried our best to take as many screenshots as humanly possible to give you a full v 3.0 demo of its possibilities and functionality. However, there is only so much we can fit into a single article, and of course, our images can never be as rich as the real thing. If you weren’t convinced by the images and screenshots we provided, there’s still a way to try the demo out yourself. Just visit Elegant Themes site (link below) and try it out for free on your own WordPress installation. As of today, the guys at Elegant Themes have taken their product to the next level – we now have a Developer API available with their most most-popular product. This means that 3rd party developers are now available to create their own plugins and features which integrate directly with Divi theme. We can now expect plenty of new products which integrate directly with the template and pagebuilder to close any gaps left by the product, or to create even new features and functions we never expected before. We are sure this will be working very well with specific niches which would need their particular nuances catered for them with specific tweaks for that industry. Are there any problems with it!? We can’t have a full Divi review without finding something which could be improved – because we wouldn’t be factual. We like to tell it like it is. Know about stuff called shortcodes? Seems it looms over the use of any plugin made for WordPress. Well, the Divi builder is no different there! We found an article by Chris Lema, which says that once you use this plugin, you’re stuck with it. The article talks about how, because of shortcodes, choosing another template someday, might just be a problem for this pagebuilder users. 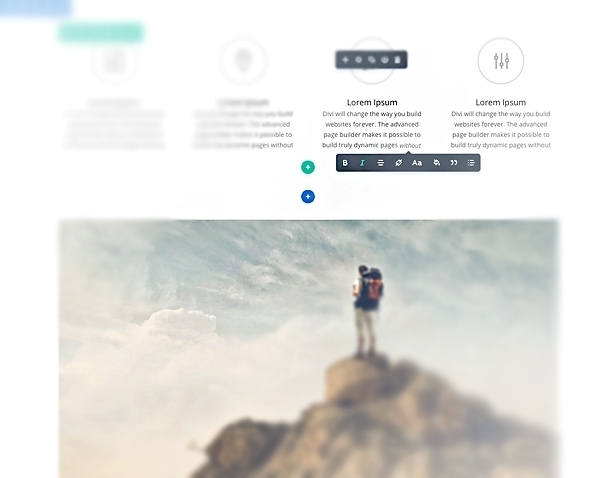 The theme/pagebuilder inserts shortcodes into your articles. If you switch away from it, the shortcodes are going to be embedded in the content. And then, you would have to spend hours together to clean up the mess and begin afresh. But then, there is also this refutation, which has an answer to throw back at Chris Lema. Brought out by Elegant Themes itself, the article talks about how you can overcome the drawbacks that Chris Lema has mentioned in his article. Really and truly, if you are planning to use any pagebuilder, you are going to get shortcodes in your pages and articles. Whenever you use a shortcode, migrating away from that specific plugin is going to create a problem of needing to replace that shortcode within your pages and posts. For us, the article by Chris Lema is much ado about nothing. This is standard WordPress functionality. Recommended Reading: The Most Popular WordPress Theme: Avada Review – should you buy it? This is the mother of all multi-purpose WordPress product showdowns – these two are the most popular, most widely used theme + pagebuilder combinations. As we’ve used them and reviewed them both, we can tell you whether we prefer using Divi theme or whether we’d rather work with Avada. Why not have a look at the below article where we give you our frank thoughts and compare them. There are many frameworks out there to build WordPress websites. Without a shadow of doubt, this is definitely one of the most popular and successful themes and page builders out there. But it’s surely not the only one. For example, while web designers have a preference towards drag and drop page builder, web developers typically tend to prefer such frameworks as Beaver Builder vs Divi 3.0. This is because it gives them a bit more control and flexibility than this. There are many more points to discuss when it comes to comparing Divi 3.0 to Beaver Builder. In fact, we did just that and created a full comparison of these two which you can see at the link above. Recommended Reading: Divi vs Visual Composer Review: Which Is Worth Your Money? And because we like to be fully comprehensive, we also wanted to create a comparison between the two most popular WordPress pagebuilders, i.e. 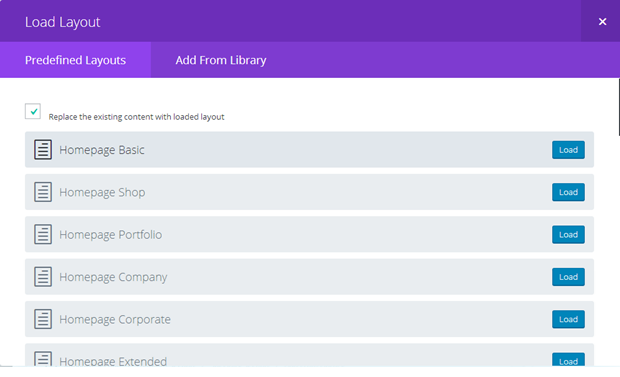 Divi Builder and Visual Composer. We actually wrote our first article about these two most popular page builders, as we were trying to decide what to buy initially. At this point, we’ve seen most of the WP page builders in action, so we can clearly say which of the two, (very popular) page builders is best. All said and done, Divi 3.0 is awesome! And we can swear by it! The Divi 3.0 theme + Builder plugin has the capability to bring down the time, you would otherwise consume is creating complex codes. Most importantly, it is super-easy to use and creates beautiful effects on web pages and blogs. They are promising a 30-day money-back guarantee! You stay risk-free! Use it once, and if you like it (which we believe you will), stick to it! The Most Popular: Avada WordPress Theme – our review – should you buy it? Next: Next post: Web Design Trends 2019: Voice Interfaces, Image Search, Fortnite, Alexa and other crazy things that are rocking our world.